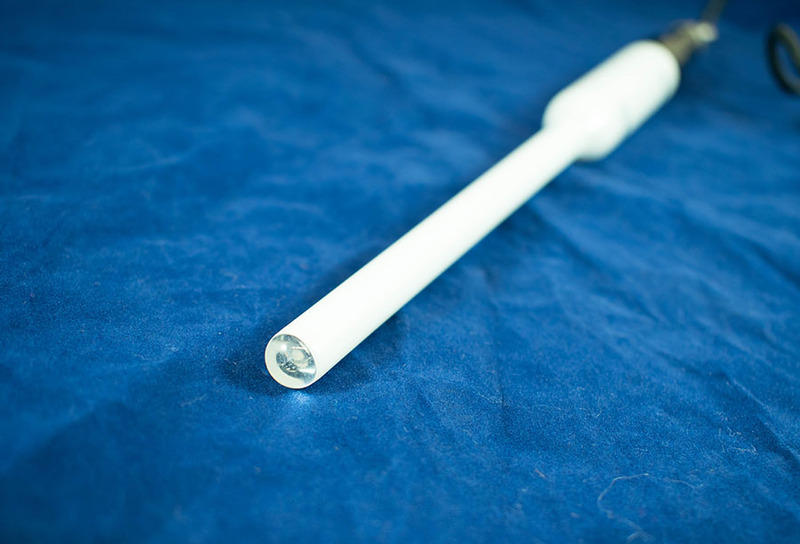 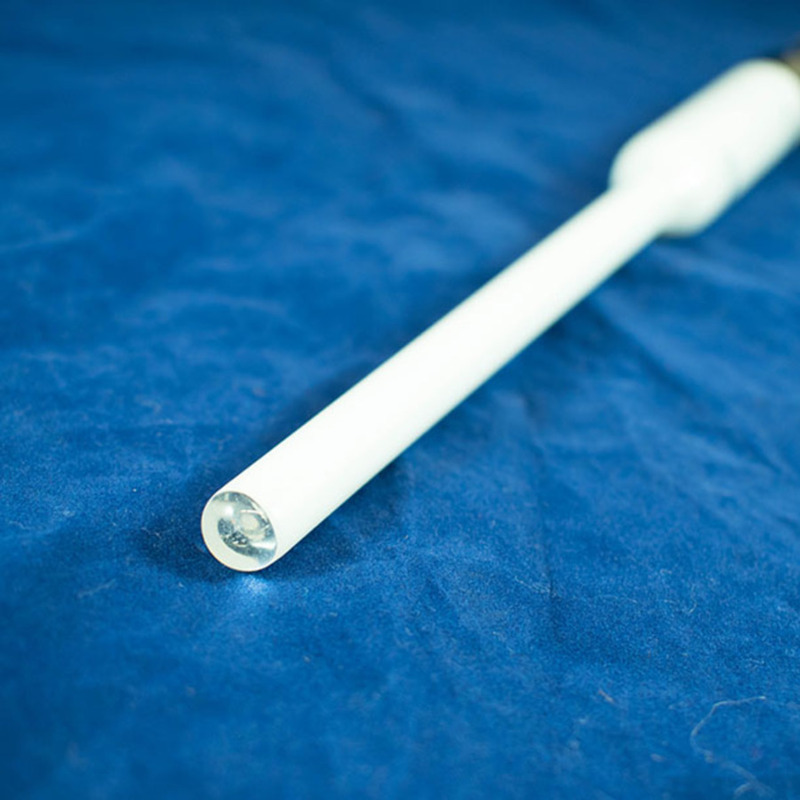 Cameron's surgilite, part of Cameron's Electro-diagnostoset. 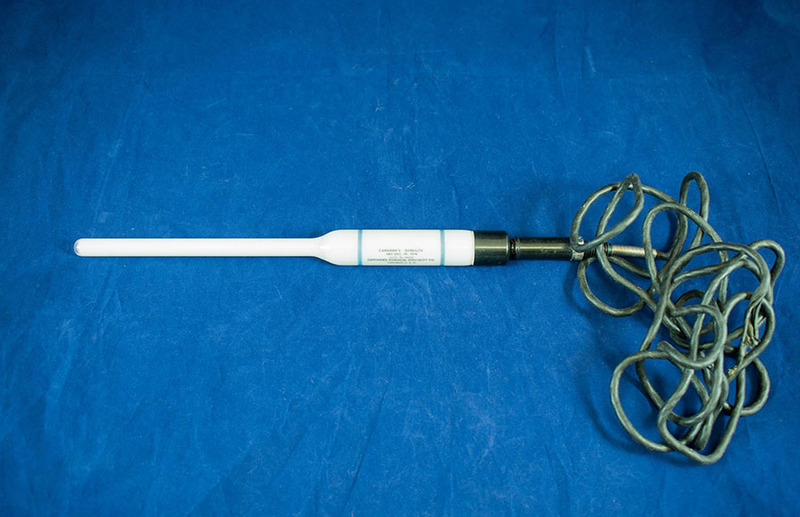 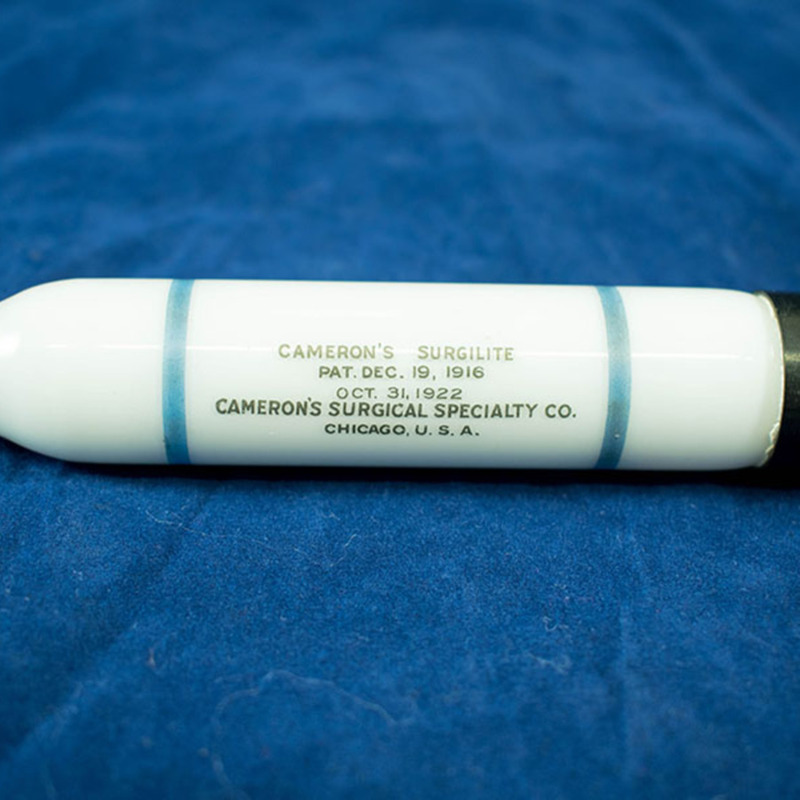 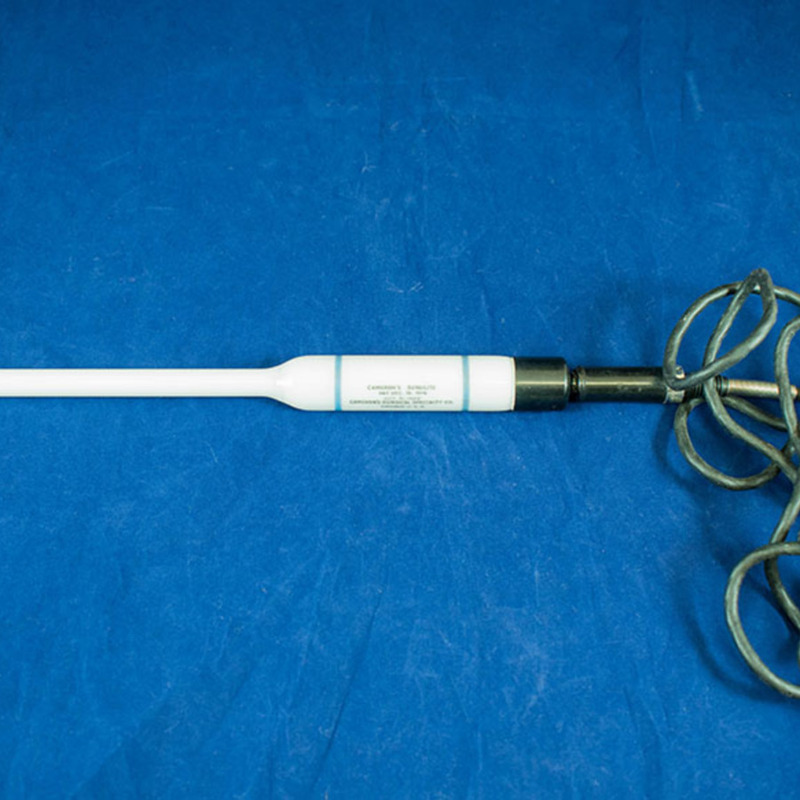 Cameron's Surgical Specialty Co.; 1922-1957; Surgical instrument manufacturer, “Cameron's Surgilite ,” Heritage, accessed April 25, 2019, https://heritage.rcpsg.ac.uk/items/show/611. 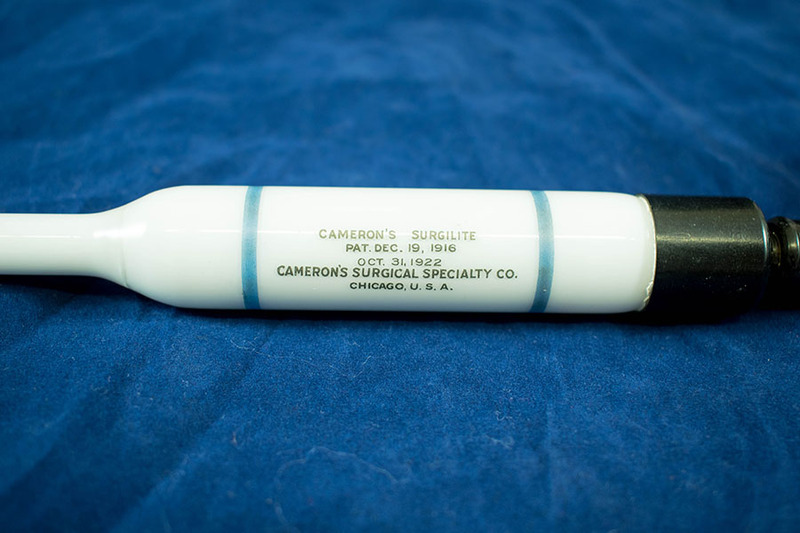 Description: Cameron's surgilite, part of Cameron's Electro-diagnostoset.